Drive on the Straight and Narrow! 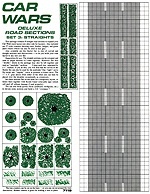 Deluxe Road Sections Set 3: Straights contains straight road sections to expand your Car Wars track layout. Also included are 27 color counters showing trees, bushes, hedges, and green paint clouds (which can be used as tear gas). 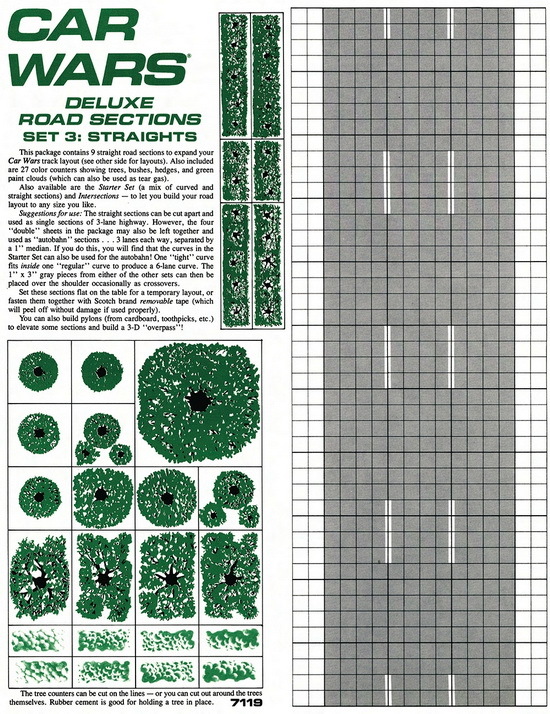 Each sheet has a clean highway version and a debris-littered version – take your pick!